Ernesto Hernandez Olmos is from Oaxaca and trained in as an indigenous healer & multi- talented artist. He is a specialist in the many cultural art forms & certain medicine practices of the pre-Columbian peoples of Meso-America. Creating ceremonial space, and with use of indigenous 'cultural tools' - vibrational techniques of voice and ancestral musical instruments, Ernesto provides powerful Sound Healing to support the clearing of emotional and physical pain. Sound Healing has been used in many cultures throughout history because its powerful sacred healing qualities were known. 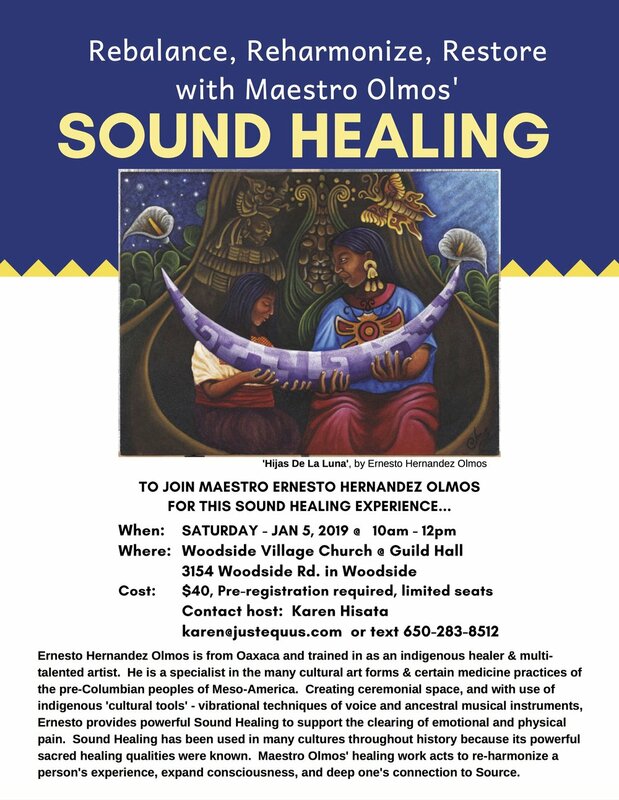 Maestro Olmos' healing work acts to re-harmonize a person's experience, expand consciousness, and deep one's connection to Source.